We simply love this one. This cozy lounge sofa pushes the pleasures of a beautiful day a notch further. 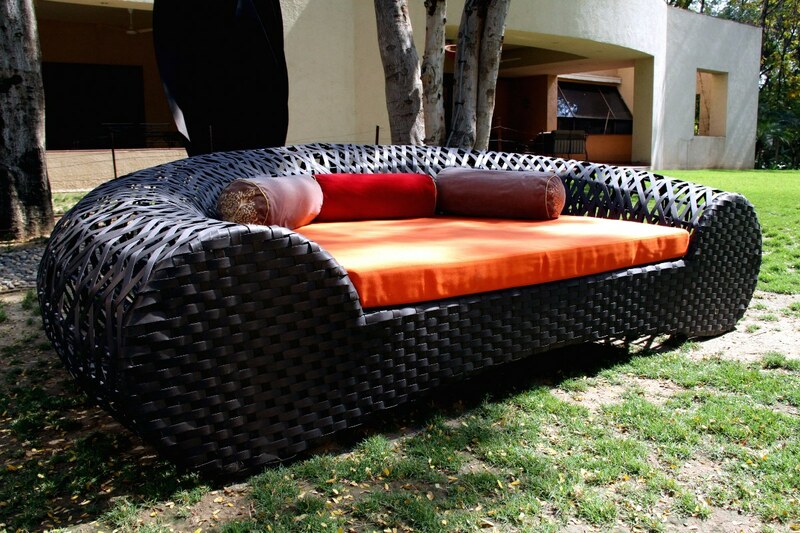 Its made of artificial rattan. Its fancy and provides an optimal amount of comfort when you want to spend time with your favourite writer or merely sip up a cool cocktail. It beckons you to snuggle up and makes chilling and doing nothing so much more relaxing.